JustSing was invited to be the guest performer for the “MuDull – The Pork of Music” Singing Competition yesterday at Maritime Square, Tsing Yi. 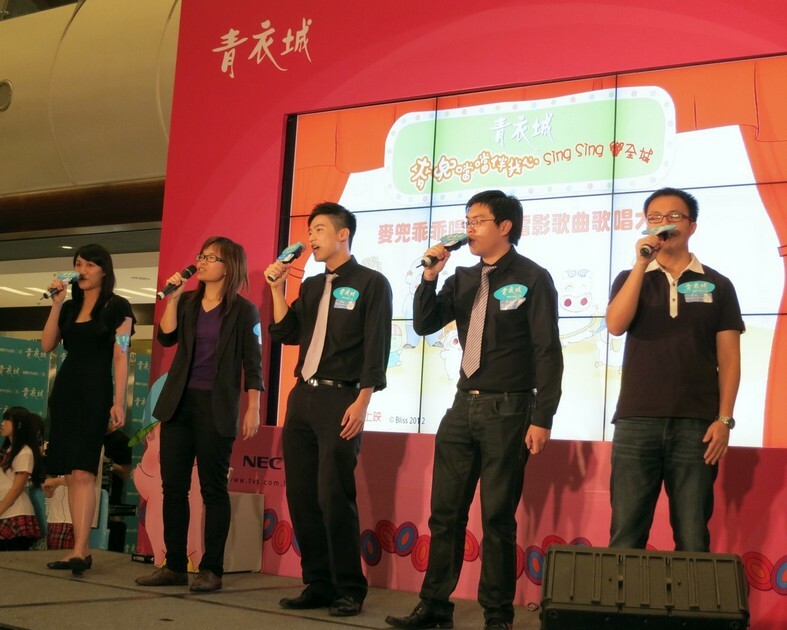 In order to fit this unique event’s theme, JustSing specially arranged an a cappella version of the theme song《仲有最靚嘅豬腩肉》(“Still Got Nice Pork Belly”), which was from McDull’s first big-screen movie. In addition to the song, JustSing also performed 3 other lively songs: “Top of the World”, “Shalala” and Andy Lau’s “中國人” . We have hand-picked Andy Lau’s song for this show because he has an important role in the “MuDull – The Pork of Music” movie. Want to know what it is? Let’s watch it when the movie premiere in HK theater on 16 Aug 2012.